Fred Levin has been a controversial figure in his lifetime with achievements in law, politics, boxing and countless charitable acts. He and I share more in common then I realized before beginning this piece. We were both born in Pensacola, FL, spent time at the University of Florida and share a passion bucking the norm. I met Fred several times over the past decades socially and my intrigue was peaked by his laid back manner, often welcoming with a quick wit and no holds barred sense of candor; his charm exudes confidence from years of challenge. There have been many articles written about his accomplishments and a recently published biography "And Give Up Showbiz?" by Josh Young but without sticking to the observations of others... I hoped to find more about Mr. Levin with my own set of questions. FL- I have done extremely well in the practice of law. Probably the most significant thing I did was create the changes to Florida's Medicaid Recovery Act which is said to be the most important piece of healthcare legislation ever passed in this country. As a result, there was a national settlement with tobacco and it is said this (because of the drop in the use of tobacco) is saving approximately 100,000 American lives each year. In regard to the law practice, my giving the money to the University of Florida College of Law and having my name on that great law school. 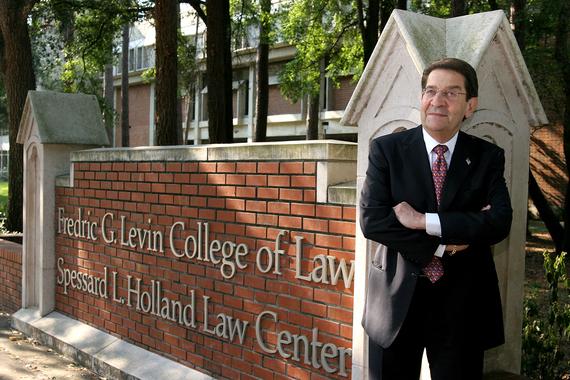 I am a member of the National Trial Lawyers Hall of Fame at Temple University. In regard to the part of the practice of law where I am most notable is in the representation of Roy Jones Jr. I helped negotiate his contracts and business matters as he became, according to the International Boxing Digest, the greatest pound for pound boxer of the 20th Century. I am in the Florida Hall of Fame of Boxing. In regard to race relations, I have been enstooled as a Chief in the Country of Ghana and I understand there are only 2 other Americans so honored; Shirley Temple Black and Congresswoman Barbara Jordan. EP- Tell me about your love for Pensacola; why have you remained in the Panhandle? FL- I never gave even a second thought to moving out. I also have to be realistic in realizing that when I graduated law school in 1961 there was not a lot of opportunities for Jewish lawyers other than handling criminal cases, marital and personal injury. I have always loved my hometown and even if I could have done much better financially anywhere else, I never considered it. EP- What have you done to impact local life? FL- I was a major stockholder in several restaurants; Chicks Barbeque, Chicks Steak Ranch and Carpenters Supper Club. I also was involved in the nightlife: Papa Don's Skylark, Pier Lounge, The Side Bar, etc. In regards to businesses, we had Sam's Style Shop and the home office for a ladies apparel operation with 55 stores throughout the southeast. I brought boxing to Pensacola and several major law cases. I have also developed 3 incredible venues for parties; my homes on the bayou, (the Carriage House and Tanglewood) as well as a penthouse on Pensacola Beach (Aqua). Also, I have a 70 foot yacht that travels 60mph and is incredibly decorated. All of these venues have had several money raising events. The law firm has probably been the most charitable organization in Pensacola. EP- I have always been impressed with your inner circle which demonstrates no rule of cultural background but is rich in personality. What does it take for a person to peak your interest? FL- I guess it would be people who are interested in sports and/or politics. Also, I find people in the entertainment industry to be of interest. However, the people that I am closest to are guys that I grew up with and guys that I use to gamble with. Basically, they are not what you would call super stars but just ordinary guys. EP-Who are some of your greatest influences and why? FL- It would be my father who actually had 3 jobs and worked 7 days a week. That created a situation that somehow I grew into. My dad would leave early in the morning and come back just for dinner. My mother was expected to take care of the house. This was fine back in those days. However, I lived the same way and I think it created major problems for my wife. EP- Speaking on conditions of race, which are currently a hot topic...I experienced push back from members of the black community in the early 2000's while working in DC. I was involved with several events during the "Black Caucus" where I had Omarosa scream negative racial and sexual orientation comments about me because she was not cleared for a VIP section or women feeling justified to approach and berate me because I was dating a masculine black man (he was a baseball player and these women felt comfortable informing him that he was a waste of a good man on a white guy like me). Having championed race relations in your career, have you ever been surprised by critics and how did you silence them? FL- I really believe I am way more popular in the African American community than any other segment of Pensacola. A lot of this came about because of the Roy Jones Jr. situation. Also, I represented and handled a couple of wrongful death of African American children. Those two cases resulted in the first million dollar verdicts for the death of any child in this country and they both happen to be African American. Of course, this was in front of an all-white jury in the bible belt of Pensacola, FL. 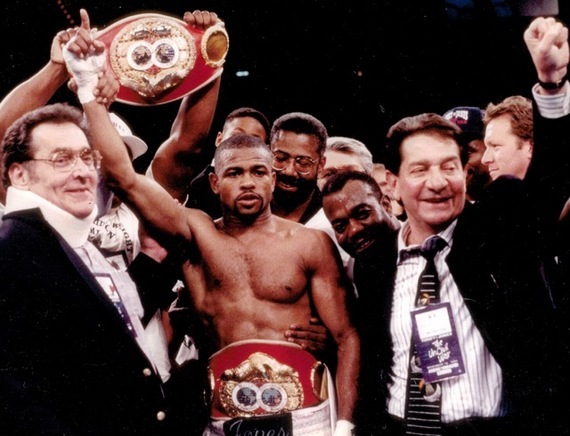 EP-You were instrumental in Roy Jones career; how do you feel about his new found love for Russia? FL- I really have had no contact with him in the last several years. When my brother Stanley and I were handling Roy's career, he had everything going his way. Towards the end of the time that we were handling things for Roy, he got involved in basketball, movies, rap music, etc. He went into monies that we had put away for him in trust and failed to pay income taxes. He could have left the fight game and remained as one of the greatest boxers of all time if he had listened to me. However, he ended up being broke and owing the Government a tremendous amount of money. I don't know why but I assume he thought by going to Russia he could avoid the liens on his money after each of these stupid fights that he is now involved in. EP-Quick switch of topics; I know you collect art, historical pieces and enjoy creating your own environment. What are your prized pieces and why do you collect, investment or admiration? 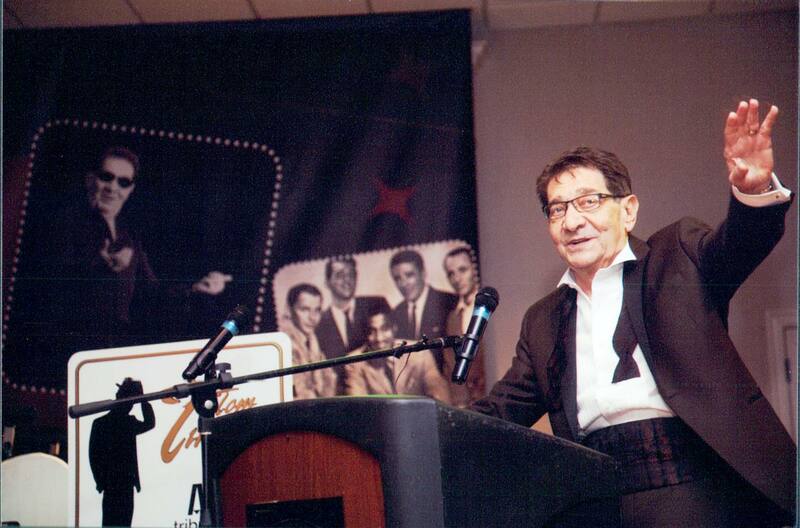 FL- I became great friends with LeRoy Neiman. I have 13 pieces of his original work and I believe 6 of those pieces he actually gave me. The art that I did own was a Dali and a Picasso. I have recently sold the Dali. However, my most prized possession is the actual Nobel Peace Prize from 1976. Betty Williams received that for her work in Ireland and she moved to Gulf Breeze many years ago. While in Gulf Breeze, she gave the actual Noble Prize to my son, Martin and it is now on exhibit in my home. EP- I am not sure why but when I was visiting Pensacola recently, you invited me to your family's Christmas lunch which was such a loving gathering. For those who see you only as a tyrant of law; what can you tell me about Fred the family man? FL- I became so wrapped up in my success that I became a lousy father and a even worse husband. However, somehow the children became superstars. Unfortunately, my wife suffered because I was such a lousy husband. I have tried to make up for that with the children and I get along with my children fabulously. EP- You have a book out by Josh Young titled "And Give Up Showbiz? "; at this point in your life, why? FL- I agreed for him to do this because I wanted my great grandchildren and even later to know about their ancestors. EP- Let's wrap this up...what is next Fred? What legacy have you built and why? FL- I am 78 years old but I believe I am still as good a trial lawyer as I ever was. I want to continue to practice law. I really have very little else in life that I enjoy other than the practice of law and my family.